stare at me on buses. 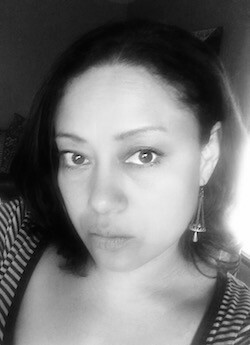 Oakland based writer, MK Chavez is the author of several chapbooks, including Mothermorphosis. Dear Animal, her first full collection was released in October 2016 by Nomadic Press. Chavez is co-founder/curator of the reading series Lyrics & Dirges, curator of Uptown Friday Readings in Oakland, and co-director of the Berkeley Poetry Festival. In 2016 she received an Alameda County Arts Leadership Award.